Ekstra, Kulting se nameće kao prirodni naslednik Foldiju za upravljanje SAFS Parkom. Ovo možda i nije baš za Fun zone, ali u svakom slučaju, ako je tačno, RESPECT!!! At 22 college campuses across the country, there are 79 students who may not otherwise be there if not for the generosity of Braylon Edwards. As a Cleveland Browns rookie in 2005, Edwards announced he'd give $10,000 in scholarships to 100 area eighth-graders if they could graduate high school with over a 2.5 GPA and 15 hours community service. Of the 100 who were afforded the opportunity, 79 met the criteria and have begun their first year of college. Many are attending Ohio universities, but the schools represented spread across the country and include Harvard, Cornell and Johns Hopkins. "Without this scholarship, I probably wouldn't be here," Bowling Green freshman David Gholston told ESPN's Rick Reilly. Edwards and his mother developed the Advance 100 program as a way to give back. The way they saw it, they were blessed with Edwards' football abilities and felt the need to help out others with their good fortune. Though they didn't expect so many of the students to fit the criteria (only half of Cleveland public school students graduate high school), Edwards didn't shy away from his commitment. In fact, he increased it. The 79 students were provided with laptops and other supplies to help them out when they arrived on campus. "I'm supposed to give people a chance like I was given a chance," Edwards said. Edwards hasn't played for the Browns in two years. He's a member of the San Francisco 49ers this season and is earning a $1 million base salary for the year, just about what he'll pay those 79 students he promised to help years ago. Tacno je, tacno. Prica se o tome neko vreme medju navijacima 49ers-a, posto ga neki cesto prozivaju zbog toga sto ga nema da igra ili se ne vidi kada igra, pa neko izbaci ovu informaciju kako je dobar covek i sl. Sve u svemu, svaka mu cast. Sad samo jos da se na terenu vrati u normalu. Hoće, ne brini, čim dobije krštenog qb-a. 22% of voters say the Packers are their favorite team in the NFL to 11% for the Cowboys, 8% for the Bears, Giants, and Steelers, 7% for the Saints, 6% for the Patriots, 4% for the Redskins, and 2% for the Jets. Jel postoji podatak jel smo mi presli 0.1% popularnosti? Šta te tačno buni tu ? Možemo mi da se zajebavamo kolko oćemo, ali dečko igra lights out. Igra u najbolju ruku prosecno, a kad ceo tim sljaka perfektno, nadprosecno. mhm, jeste. popravio je TD/INT odnos od prošle godine, a i yds/att za skoro jard. I to bez Smitha, Bossa i uz konstantno lovljenje Boothovih snapova iz shotguna. Čovek kada snapuje loptu iz shotguna to izgleda kao mini punt. Pa to. Od ovih 15% glasova koji su neopredeljeni glavu dajem da je 10% otišlom Lijepom Marku. Aha, to je ovogodisnji opis, ja sam vise mislio, ovako, kroz karijeru. Mada to ne menja nista, gledao sam ga tri puta ove godine i sam je izgubio sve tri tekme. 4, zapravo, ako se uracuna statisticki pristojna GB tekma. Smith slobodno moze da se pridoda statistici sa svih 100 jardi i celih 0 td. Cruz je ozbiljan upgrade u tom timu, Smith nije pusten slucajno. Nicks preko puta da i ne pricamo. A malo mi je tesko da saosecam sa kvoterima i zdravstveno problematicnim OL, jer...pa, dozvoljavam jedno pogadjanje. The Pittsburgh Steelers are the ones who are playing Tim Tebow and the Denver Broncos in the playoffs. But Ravens linebacker Terrell Suggs delivered his opinion on the Broncos quarterback on ESPN's First Take, and it wasn't very flattering. Asked by Skip Bayless for his take on Tebow, Suggs said, “He’s all right. He’s all right. Come on now, let’s be honest, Skip. I can put up the numbers he was [putting up]. It’s all about numbers, baby. Give me a shot. Let’s see what we can do, create my own offense and hopefully my kicker can nail a 62-yarder to bail me out a few times, Jesus shows up." Suggs then took a shot at Tebow's religious persona. "With all due respect, we don't pray on the sideline," he said. "We do -- we give it up to God to keep us safe and healthy. 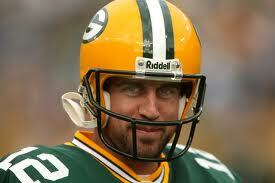 When our quarterback prays, he's like, 'God, sit on the couch and enjoy this. Thank you for blessing me and letting me wake up and play this game. I'm going to impress you.'" 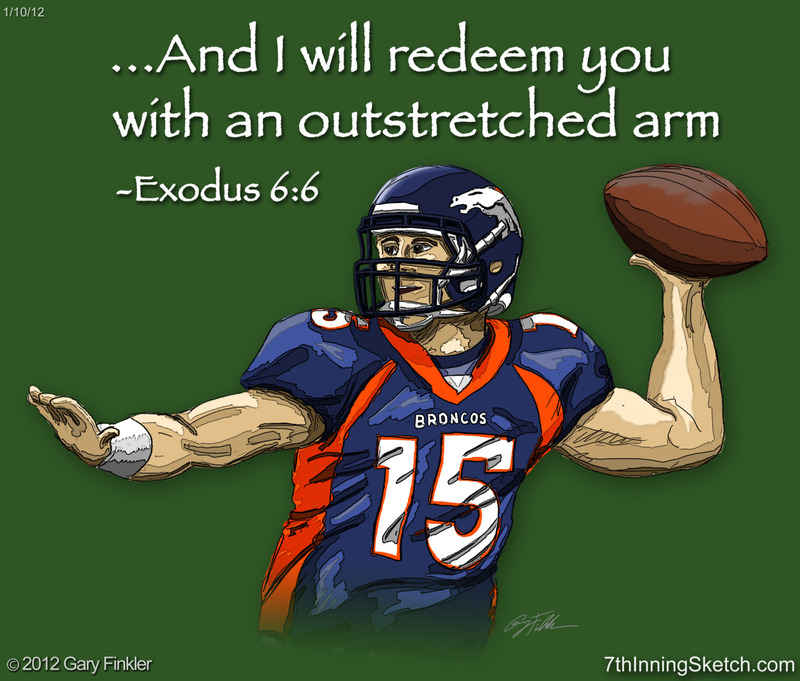 Bayless pointed out that Tebow went 7-4 as a starter and led the Broncos to the AFC West title. "He didn’t win the AFC West," Suggs said. "Oakland lost it." So, would Suggs rather have Joe Flacco or Tebow as his quarterback? It will be very interesting to hear what Suggs has to say if the Ravens have to face Tebow in the playoffs. Of course, that would mean the Steelers losing at Denver. That leads to an interesting question: Who is Suggs rooting for on Sunday? Mislim da je izgubio Sendi. Imali su katastrofalnu sredinu prvenstva, ali su u poslednjih mesec dana igrali ubedljivo najbolji fudbal u diviziji. 6. Currently ninth on the Kim Kardashian athlete waiting list. 1. Can turn water into Gatorade. Drolje su pocele da se uvlace jedna drugoj u bulju. Bljuc, bljuc, bljuc. Hocemo catfight sa ovom Welkerovom ribom.